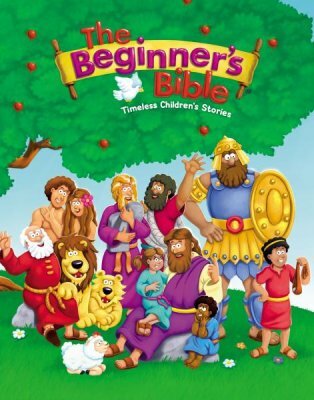 The Beginner's Bible is a wonderful Bible for any child. It has vibrant colors, fun illustrations, and most importantly, over 90 stories from the Bible. It is so important to start our children off from birth to love God and read His word. The Beginner's Bible is the perfect tool to do so. 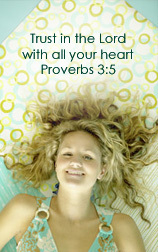 Children of all ages will absolutely love spending time in this Bible. I would recommend it for kids ages 3-8. This is perfect for new moms to give their bundles of joy, to enjoy for years to come! And with Christmas coming up, it would make a great Christmas present for the young children in your life. Don't wait, get yours today! The best-selling Bible storybook of our time, with over 25 million products sold! Introduce children to the stories of the Bible through vibrant art and compelling text with The Beginner’s Bible— full of life and fun, and featuring brand new vibrant, three-dimensional art. The Beginner’s Bible has been a favorite with young children and their parents since its release in 1989 with over 25 million products sold. Now it’s redesigned with fresh new art that will interest children for many more years to come. Full of faith and fun, The Beginner’s Bible is a wonderful gift for any child. The easy-to-read text and bright, full-color illustrations on every page make it a perfect way to introduce young children to the stories and characters of the Bible. With new vibrant three-dimensional art and compelling text, more than 90 Bible stories come to life. Kids ages 6 and under will enjoy the fun illustrations of Noah helping the elephant onto the ark, Jonah praying inside the fish, and more, as they discover The Beginner's Bible just like millions of children before. The Beginner's Bible was named the 2006 Retailers Choice Award winner in Children's Nonfiction. 7.75" x 6.50" x 1.50"